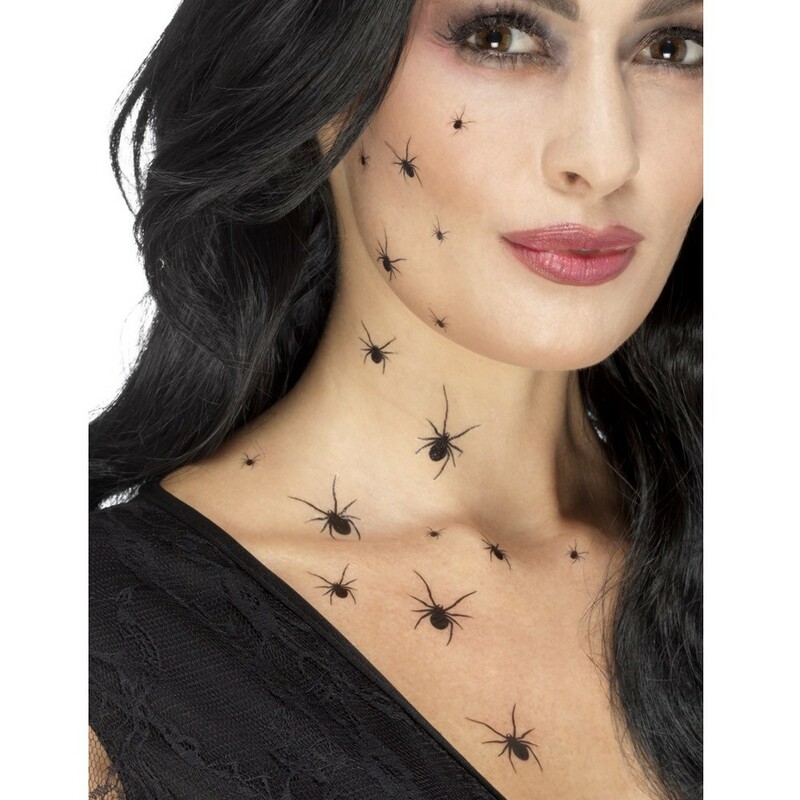 These great black transfer spider tattoos will scare some people with the effect of spiders crawling over you, ideal for this Halloween! These innovative Spider tattoos are brilliant. They will add the perfect finishing touch to any witch outfit or indeed many different outfits! These black transfer Spider Tattoos come in a pack that has 2 x sheets of transfer tattoos, each with 18 spiders, so you get 36 Spider tattoos in total. These Spider Tattoos are from the extensive Smiffys range that sells worldwide. Are you brave enough to wear these brilliant black transfer Spider Tattoos? 36 Spider tattoos in a packet.